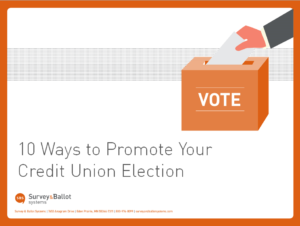 As credit union leaders, you understand how important elections are. The more effectively you promote your election, the more engaged your members will be in the voting process. Join Tim Madsen, Senior Marketing Manager, Paul Bordson-Nolle, Credit Union Accounts Manager and Tony Hoff, Cooperative Accounts Manager, as they share how to increase the visibility of your credit union elections and voting events. Join us Thursday, May 21 at 10:00 am CDT for this free webinar packed with valuable information for your credit union.